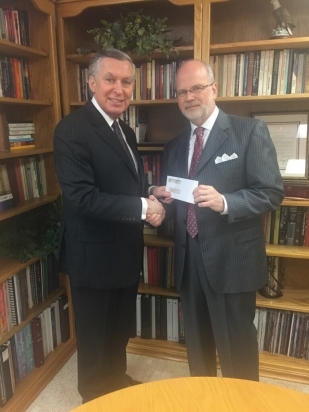 As Mitch Corder, the Administrative Bishop for the Church of God in Tennessee, visited PTS today to speak in chapel, he presented a check for $1,500 to President Michael Baker. He designated the gift to go to the tuition of a deserving PTS student of African descent in honor of the Black Ministries Awareness Celebration in PTS Chapel today. 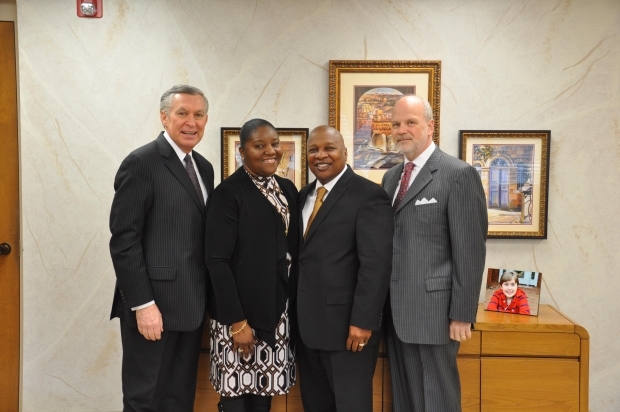 Mitch Corder indicated his gratitude that PTS specifically designates 9 scholarships for black students preparing for ministry, and the Tennessee State Office of the Church of God wanted to add to that effort.